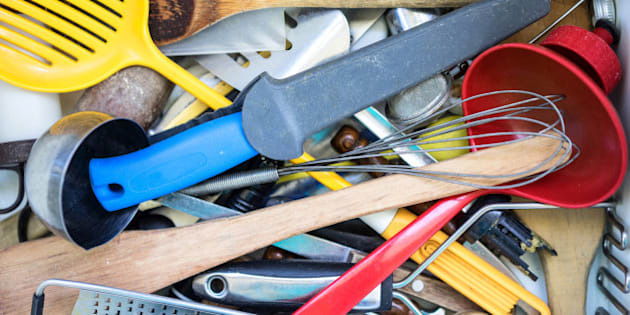 Untidy clutter of kitchen utensils in a drawer. I often say that there is no magic wand to get you organized. And there isn't. 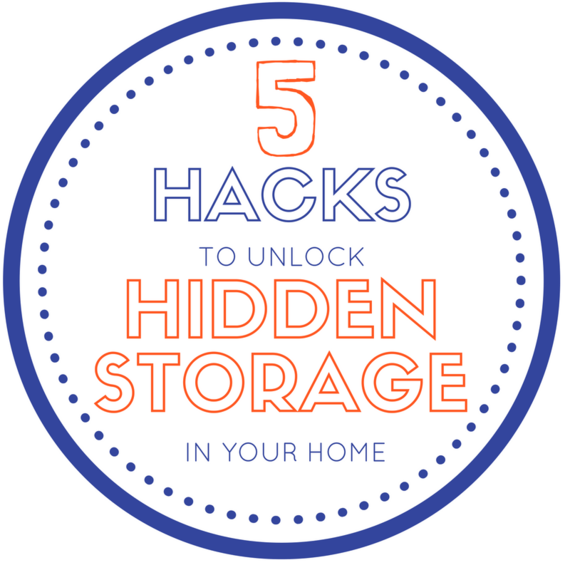 But there are a few tricks you can use to maximize the space that you already have that can seem like magic (kind of). Or your junk-closet, or junk-room. Seriously people, you have NO IDEA how much free space you can unlock by simply going through these areas, throwing out the actual garbage and organizing what is left. I recently reorganized a client's kitchen and we cleared out no less than eight junk drawers. Eight!!! They had no idea what was inside these drawers and would waste so much time looking for their stuff. To make it worse they would then buy new stuff to replace what they couldn't find. Where did I put that calculator? Not sure, let's buy a new one. Where did those chip clips go? Ummm, I don't know, but now we have to throw out all those open bags because they have gone stale. So much money gets wasted. So much time gets wasted. I value my time in a very serious way and I certainly don't have time to waste looking for things, and I'm sure you don't either. Clean those drawers! They allow you to put things in a small space without it looking messy. They allow you to easily group like items together. You can pull them out to easily access the contents so they double as makeshift drawers. They come in lots of colors, patterns and materials so you can change the look of the space easily and lastly, they look nice! Now, onto the under-the-shelf clip-on baskets. These are another great way to increase your space. No installation required, no damage to your existing shelf. It is easy to move them around as needed and you can find them almost anywhere. They are great in the linen closet, pantry and bedroom closet. I don't know about you but I seriously dislike having things on the floor (mops, brooms, school bags, towels for the dog's paws). My favourite way to open up that space is to grab some wall and go vertical. I use hooks everywhere. My favourites are the ones from Command Brand that aren't permanent and don't leave marks on the wall (no affiliation or anything, I just seriously love their products). I have one near the back door for the dog's towel. On the inside of the closet walls and doors for cleaning supplies, towels, oven mitts, even tank tops. Hooks are so simple. They remove a step from the process of cleaning up or accessing your items, no hanger to deal with, no bin to open, just hang it up and go! So easy. I also love going vertical with paperwork. Get those files and papers that require your attention off your desk and counters and onto the wall. 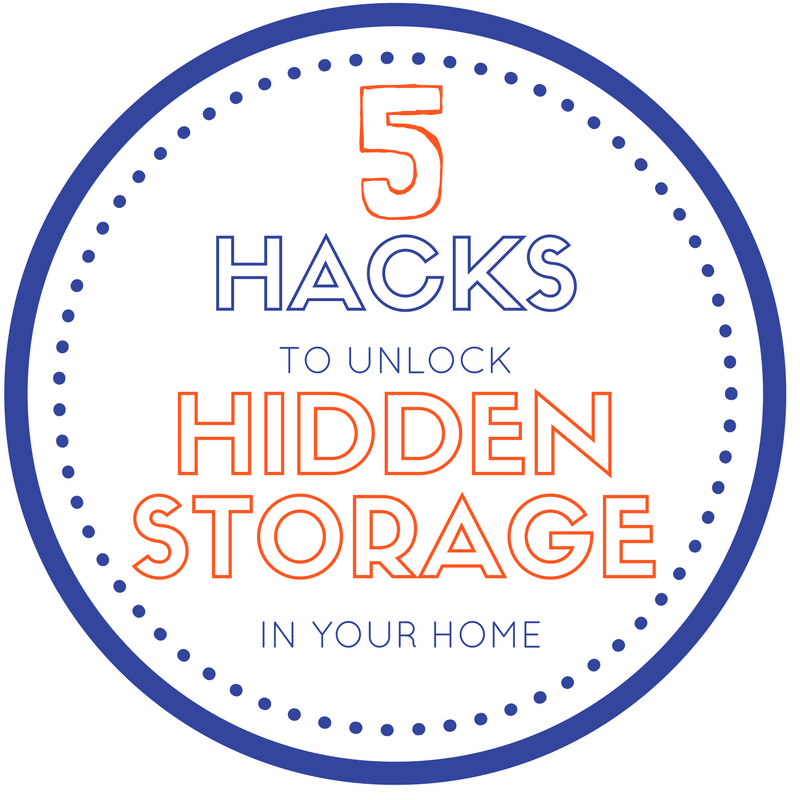 The side of your fridge, an out of sight cabinet wall, the inside of your kitchen cabinets. These are all great spots to pop up some file folders. You can even use the Command strips to put them up if you're a commitment-phobe like me! OK, so this one isn't really a hack, it's more of a philosophy to embrace. But I'm sneaking it in here anyways. Really start to think about the stuff that you are bringing into your home. We all like to be prepared by having back-ups or to stock-up when one of our favourite products go on sale, but try to set limits to these purchases. There is a trade-off. The more you buy, the more stuff you accumulate in your home and the less space you have to live in. It is the stress you feel when you open your kitchen cupboard only to have a box of crackers fall on your head. Rethink your purchases. Be hyper-critical of what you bring home because we tend to fill the space we have; so it doesn't matter how much bigger a house you're moving to, or how many storage lockers you rent, you will fill it if you don't curtail the influx of stuff. And the easiest space to organize is the space with nothing in it. Do you have an organizing dilemma? Get in touch here.